Here in this tutorial we’ll show you how to install and setup the UBD drivers, ADB and fastboot drivers for Huawei Google Nexus 6P Android smartphone. Google Nexus 6P is official launched now and ready for the order. Most of the android phone users use Windows PC to manage their phone. To do this, you need proper USB drivers to connect the Nexus 6P with your system. If you don’t have the proper USB drivers for your phone, then you will face so many problems to establish the connection with your PC. Once the USB drivers are installed, you can easily connect your phone to the PC and transfer files between them. To do this, you need a USB drivers, ADB, and fastboot drivers. Here in this guide we’ll show you how to set up the USB driver and ADB Fastboot files for your new Google Nexus 6P android smartphone. The process is very simple and takes a few minutes to complete the whole task. All you nee to run two Exe files on your windows PC and you are done. Let’s take a look how to do that in simple manner. Step 1. First you have to install the USB drivers on your PC. Download Huawei Nexus 6P drivers zip file from here and extract the folder on your desktop. Step 2. 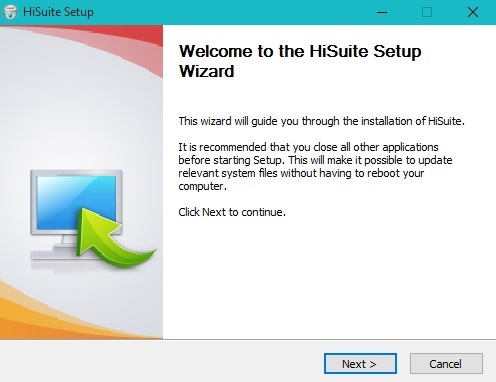 Now run HiSuiteSetup.exe file on your windows and follow the onscreen instruction to complete the setup process. Step 3. Now the USB drivers are installed on your PC and you can connect your Nexus 6P to your PC. Step 4. Next Step is to set up ADB and Fastboot files on your C:/ Drive. You always need these file to unlock the bootloader of your phone, to install Custom recoveries like TWRP and CWM. To install the ADB and Fastboot drivers and click here and follow the steps one by one on your PC. That’s it! Now the Google Nexus 6P USB Drivers are installed on your Windows PC. Enjoy!!!! !